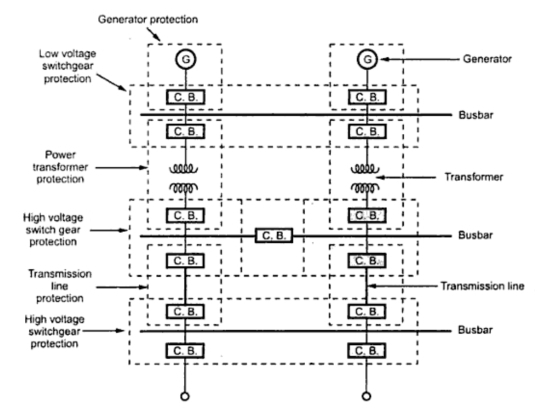 In this post we will look into protective zones in power system and why they are overlapped. 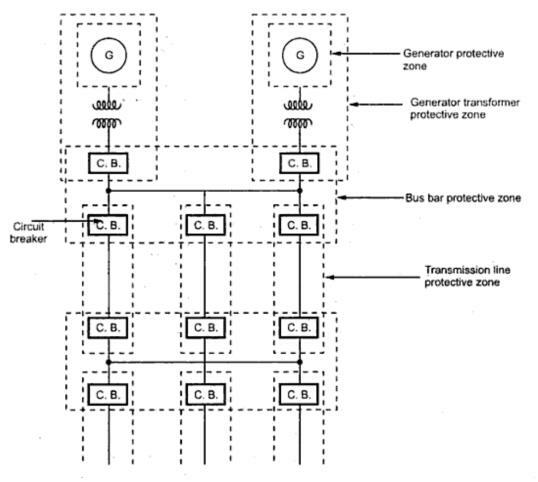 What is a Protective Zone in Power System? A protective zone is the separate zone which is established around each system element. The significance of such a protective zone is that any fault occurring within cause the tripping of relays which causes opening of all the circuit breakers within that zone. The circuit breakers are placed at the appropriate points such that any element of the entire power system can be disconnected for repairing work, usual operation and maintenance requirements and also under abnormal conditions like short circuits. Thus a protective covering is provided around rich element of the system. 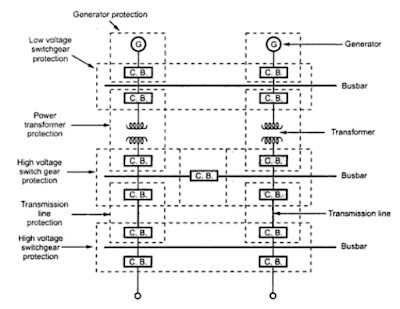 The various components which are provided with the protective zone are generators, transformers, transmission lines, bus bars, cables, capacitors etc. No part of the system is left unprotected. The figure below shows the various protective zones used in a system. Why Protection Zones are Overlapped? 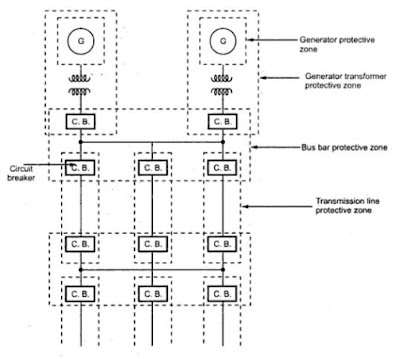 The boundaries of protective zones are decided by the locations of the current transformer. In practice, various protective zones are overlapped. The overlapping of protective zones is done to ensure complete safety of each and every element of the system. The zone which is unprotected is called dead spot. The zones are overlapped and hence there is no chance of existence of a dead spot in a system. For the failures within the region where two adjacent protective zones are overlapped, more circuit breakers get tripped than minimum necessary to disconnect the faulty element. If there are no overlaps, then dead spot may exist, means the circuit breakers lying within the zone may not trip even though the fault occurs. This may cause damage to the healthy system. The extent of overlapping of protective zones is relatively small. The probability of the failures in the overlapped regions is very low; consequently the tripping of the too many circuit breakers will be frequent. The figure shows the overlapping of protective zones in primary relaying. Figure shows Overlapping zones in primary relaying. It can be seen from the figure that the circuit breakers are located in the connections to each power system element. This provision makes it possible to disconnect only the faulty element from the system. Occasionally for economy in the number of circuit breakers, a breaker between the two adjacent sections may be omitted but in that case both the power system are required to be disconnected for the failure in either of the two. Each protective zone has certain protective scheme and each scheme has number of protective systems.